Working with Special Children can be very heartening, though its not difficult to imagine the multiple challenges faced by their instructor. Students with cognitive, intellectual, mental, or other disabilities often deficit communication skills, apart from difficulty in concentration, focus, and expression. 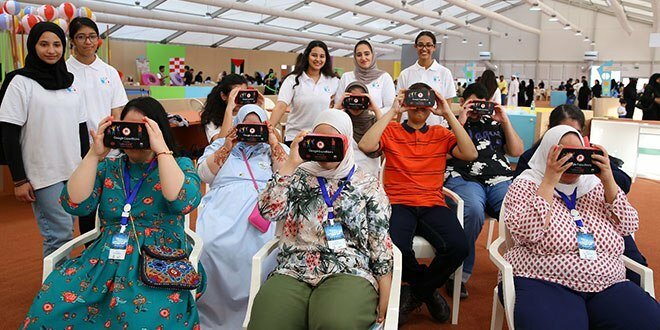 For our quest to contribute to enhance learning practices, we have experienced how Virtual Reality is one revolutionary method in special education in many aspects. and learning preferences outside of their real world disabilities. of interaction, VR enables the teachers to view live feed of what each student is looking at and discuss or ask questions about their experience and their personal focus. This is just the beginning for far more personalized learning opportunities for special needs students.